I’m one of those cooks who believes that you can never have enough great potato recipes. Unfortunately, these days, I find that I indulge in fewer potatoes and far more greens. For my body, it’s a good thing, but try telling that to my cranky taste buds, which tend to disagree vehemently. I’m all about pleasing so, let’s splurge, shall we? 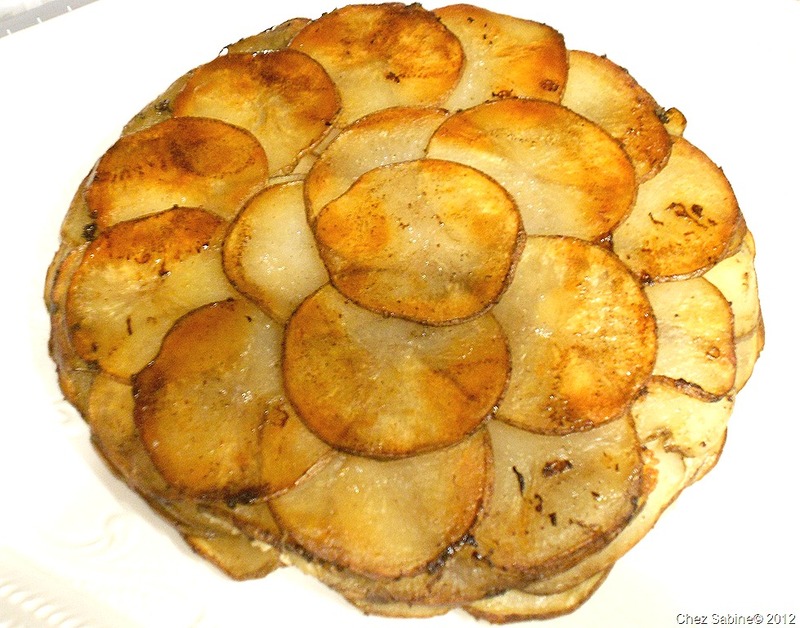 I’ll share with you a classic French recipe that’s always been a hit in my French cooking classes – Pommes Anna aka potatoes Anna. It’s one of my favorite potato dishes. Not only is it drop-dead gorgeous with its concentric pattern of uber-thin potato slices glossed with melted butter, but it’s deceptively easy to prepare, and that’s always a plus. Oh, Marylin, I totally understand. It took me ages to finally like that pungent flavor. I also appreciate it because it seems to have less fat than other creamy cheeses, but I get that it’s not for everyone. Happily, it’s not essential to the dish. So glad you like the blog. I appreciate that you’re reading.